Wessel Bentley describes Jesus' miracles as complex events. Not only did they transform people's lives through healing, multiplication, or resurrection, but they also challenged attitudes and beliefs. This is what makes Jesus' miracles timeless: they can still touch our lives today just as they did the lives of people 2,000 years ago. Each daily reading in this Lenten book begins with a scripture reading, followed by the author's reflections on that passage. Rather than being a scholarly verse-by-verse dissection of the text, Bentley's meditations invite you to listen to what God may be saying to you through the Bible passage. The daily meditations include thoughtful reflection questions, a prayer, and a prayer focus that lifts up persons or situations needing the touch of Jesus. To make each day's reading further relevant to your life, Bentley challenges you to remember at least one aspect of the meditation as you go through your day. 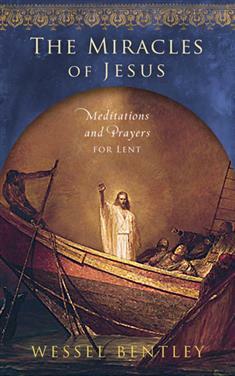 This unique Lenten study helps you identify with the characters in the Bible stories. You will see yourself and others as persons who need grace and have the potential to be transformed by Jesus' love. An excellent study for Lent, but this book can also be used anytime by individuals or groups wanting a deeper understanding of Jesus' miracles.